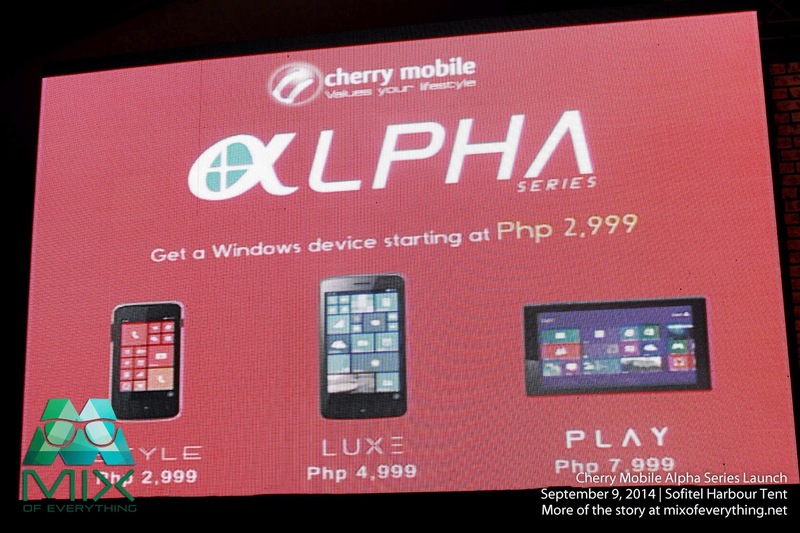 Cherry Mobile Releases Alpha Series Smartphones and Tablets - Hello! Welcome to my blog! 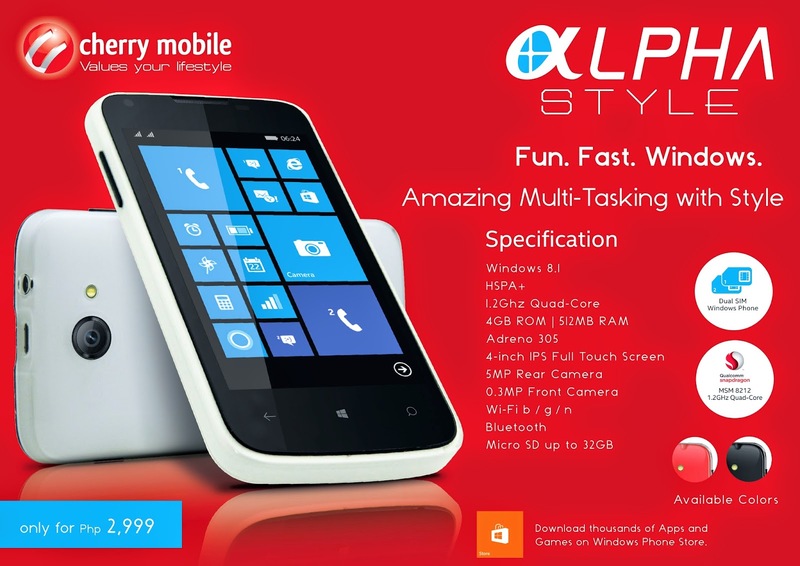 Alpha Luxe Alpha Morph Alpha Play Alpha specs Alpha Style Cherry Mobile Cherry Mobile Alpha Style Cherry Mobile full review Cherry Mobile price Gadget Kim Chiu Cherry Mobile Kim Chiu Photos Kim Chiu. Cherry Mobile does it again! Earlier this evening, the country’s leading value-for-money mobile device brand, has just unveiled their newest series of smartphone running on Windows, the Alpha Series and their new endorser for the series Kim Chiu. 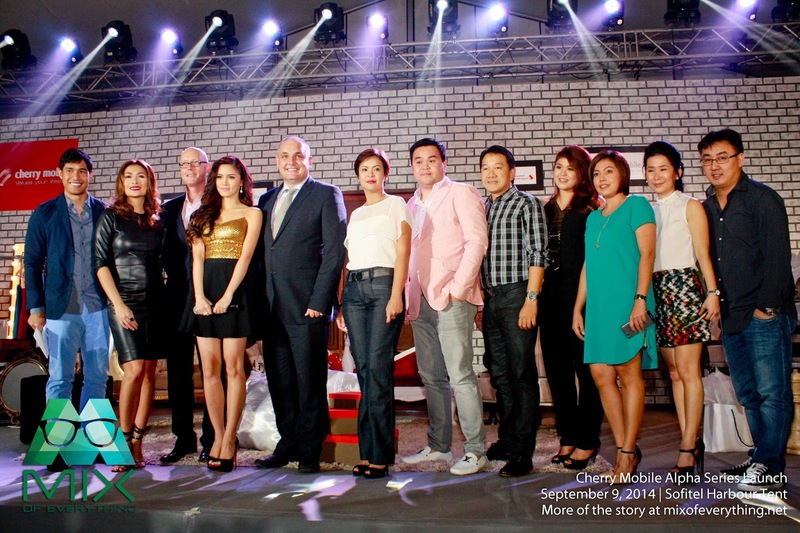 People from Cherry Mobile was proud to share their latest tablet and smarphones to the media and partner dealers just a few hours ago. 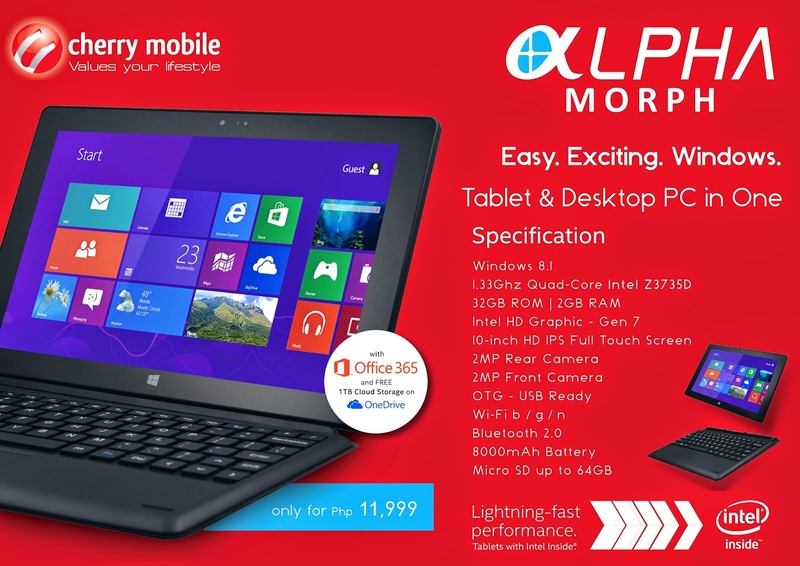 The brand aims to please the Filipino consumers who are looking for powerful, stylish yet affordable Windows devices. The four new devices are Alpha Morph, Alpha Play, Alpha Style and Alpha Luxe. 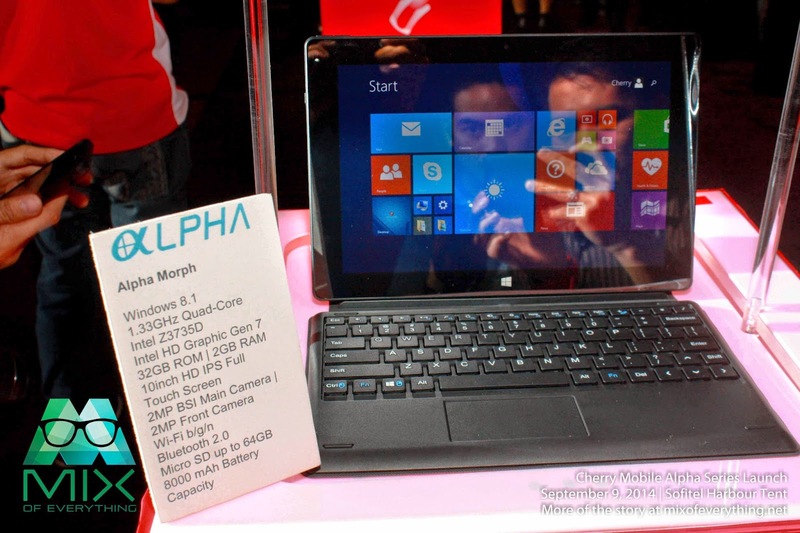 These are the first Windows tablets and smartphones produced and distributed by a local brand. Kim Chiu shared that she was happy to be part of the Cherry Mobile family because of the brand's powerful, stylish and affordable mobile smartphones. 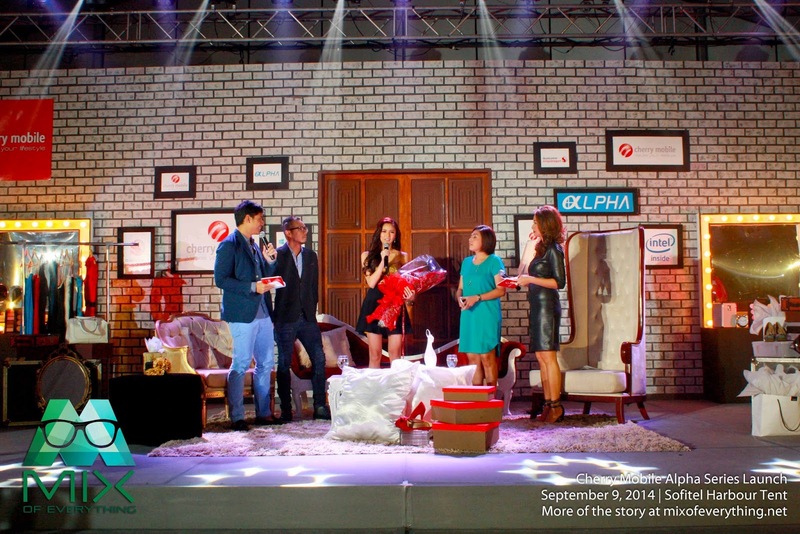 During the event, they also premiered Cherry Mobile’s TVC for the new gadgets starring Kim Chiu. 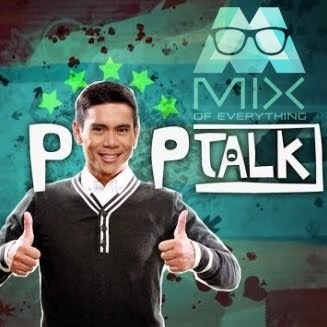 Check out their latest gadgets! Leading the pack is Alpha Morph and Alpha Play. Both of the tablets are on Windows 8.1 Operating system and runs on 1.33 gigahertz quad core processors and Intel Gen7 HD graphics. Morph is more on the productivity-oriented side. It has 32 gigabytes of on-board memory, and two gigabytes of RAM. Has an amazing 10-inch high-definition IPS screen. What's nice about this is that it comes with its own keyboard! For P11,999, it's a steal! 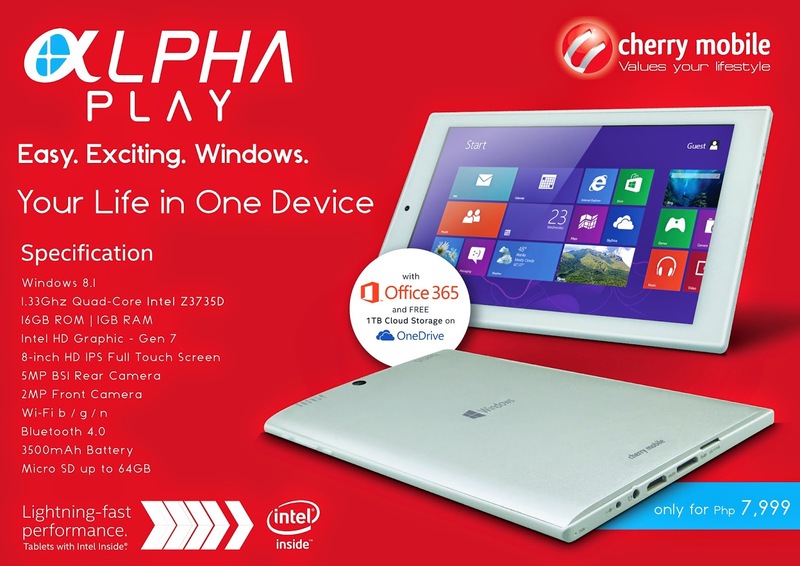 You also can't go wrong with Alpha Play, the tablet is geared for a sleeker tablet experience with its 8-ince screen. Perfect for mobile play and mobile consumption. It has 16 GB of memory and a gigabyte of RAM. These smartphones have a Windows Phone 8.1 OS. Price at P4,999 and P2,999. They both run on 1.2 gigahertz Qualcomm Snapdragon quad-core processors and Adreno 305 graphics. Style which is perfect for the students or younger techie has a 4-inch 800x480 IPS screen, four gigabytes of memory, and 512 megabytes of RAM. Alpha Luxe is just right for professionals who need powerful smartphones for work. It has a 5-inch 1280x720 HD screen, eight gigabytes of memory, and a gigabyte of RAM. 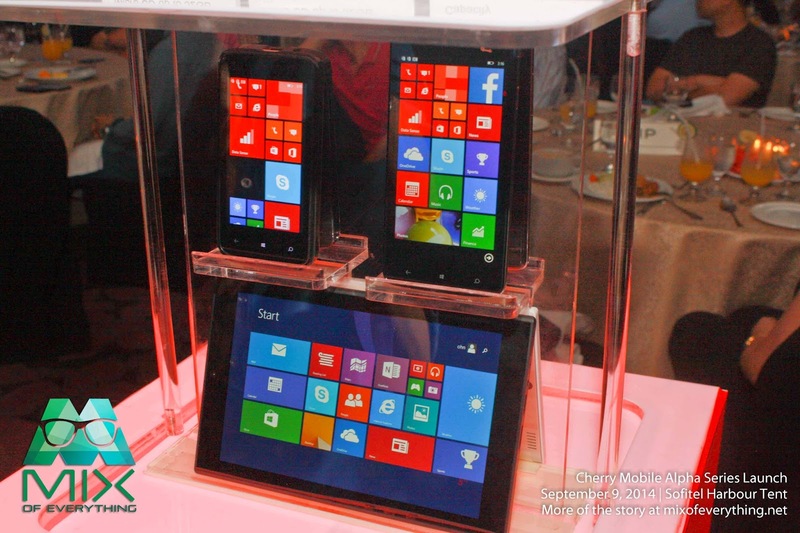 Cherry Mobile developed the series in partnership with Microsoft, Intel, and Qualcomm. To provide consumers productivity apps out-of-the-box, all Alpha Series Windows phones come with a free download of Office Mobile, while all Alpha Series Windows tablets come with a free one-year subscription of Microsoft Office 365 Personal. 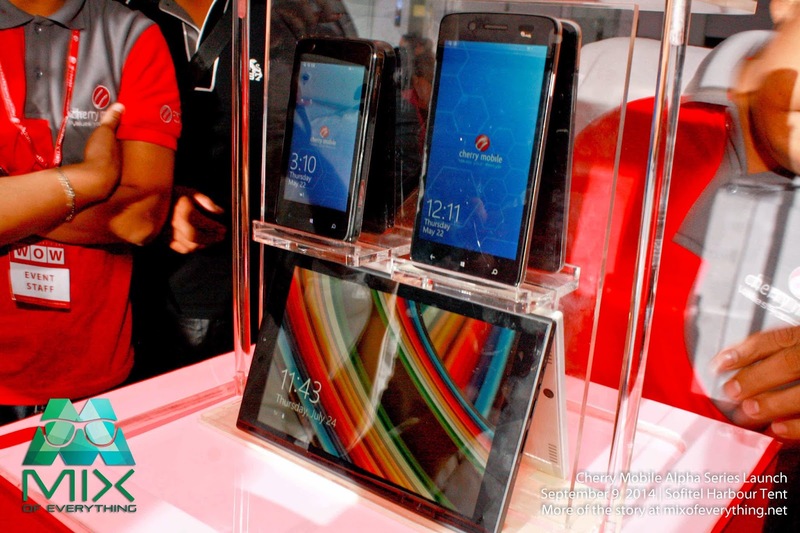 Cherry Mobile is Microsoft and Intel’s first local partner. Together, they aim to continue to produce innovative and affordable mobile devices for every Filipino lifestyle.